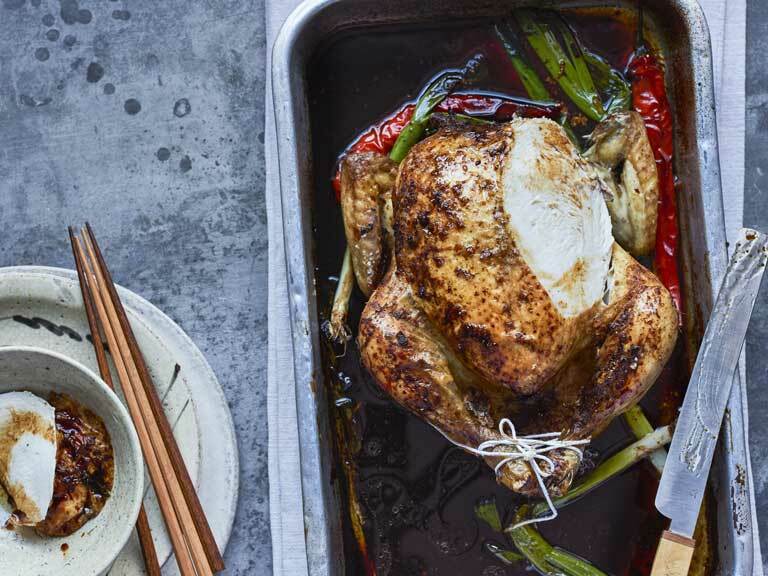 An Asian-inspired roast chicken from chef Gizzi Erskine. 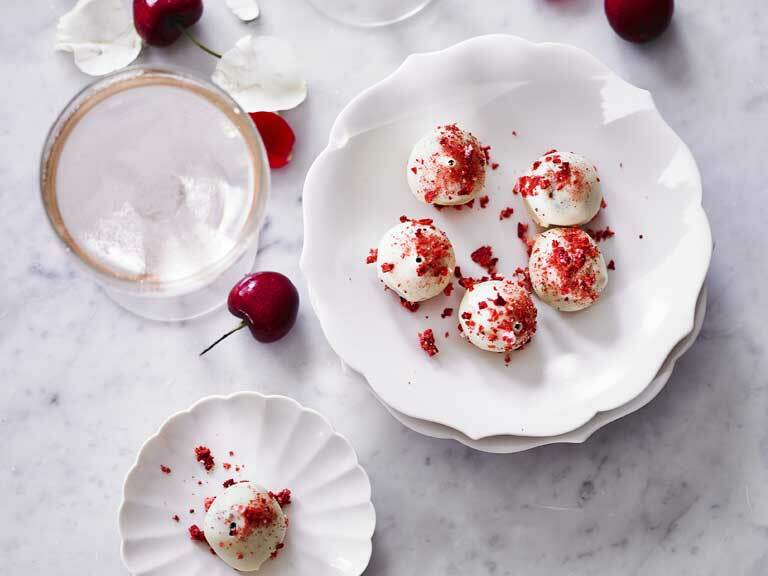 Scrumptious white chocolate with cherry, coconut and hazelnut. 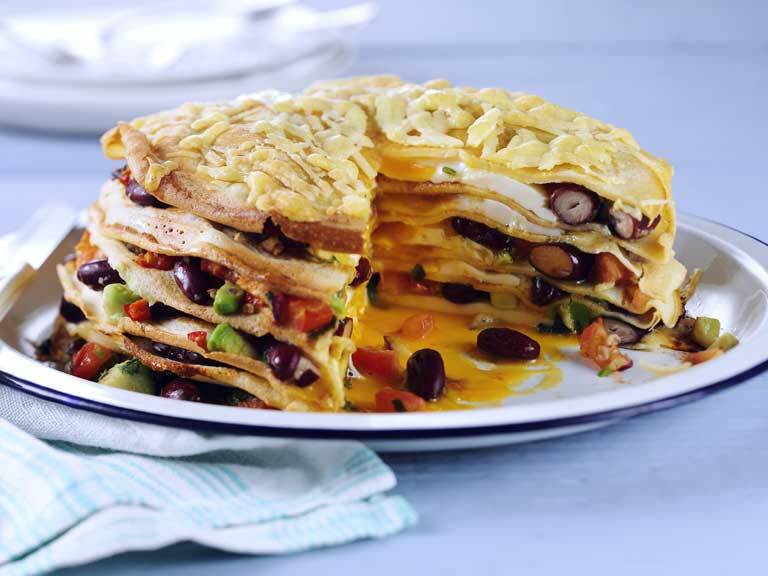 A pancake stack baked with layers of beans, chilli, cheese and egg. 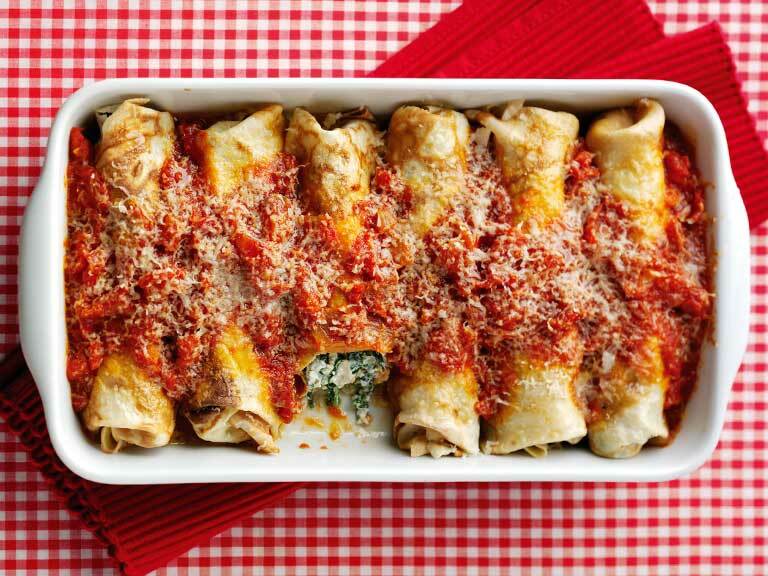 Italian pancakes are served here stuffed with a creamy filling and baked in a tomato sauce. 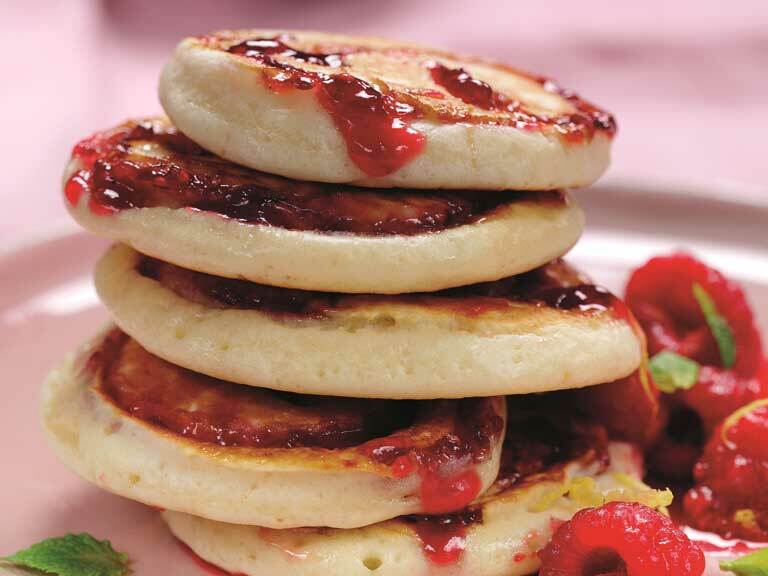 Fluffy American-style pancakes with a swirl of raspberry. 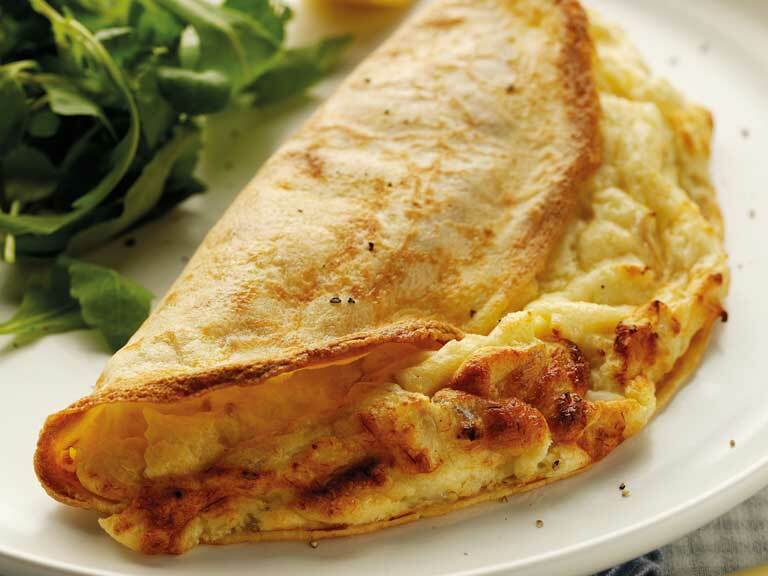 A filling of light soufflé with flaky smoked haddock. 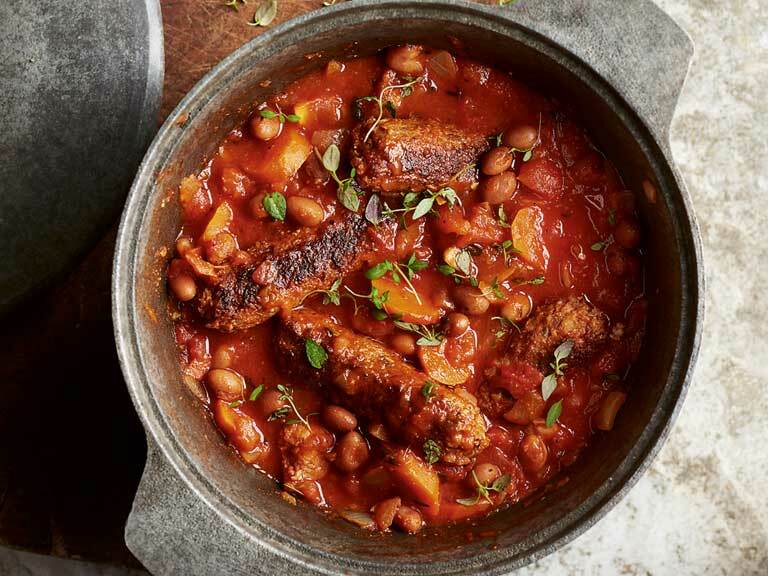 An extremely easy winter warmer using fresh vegetables, tinned beans and sausages. 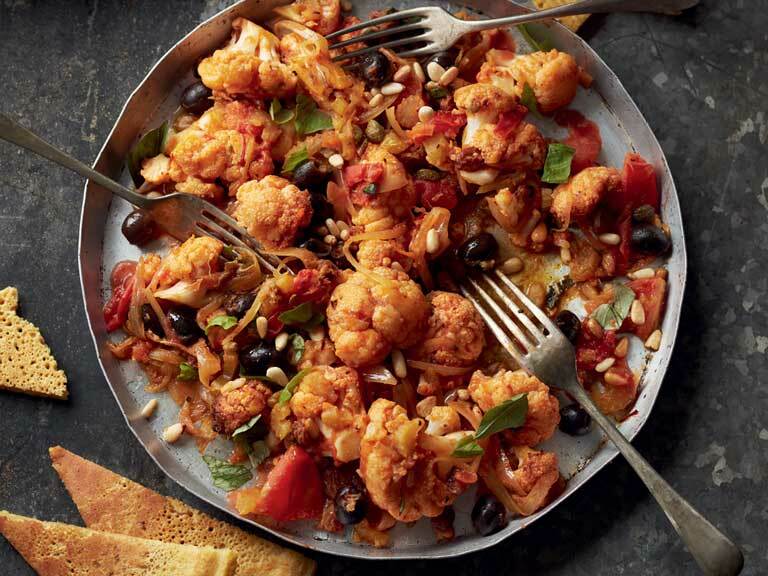 Nutty, tangy Sicilian cauliflower with chickpea pancakes. 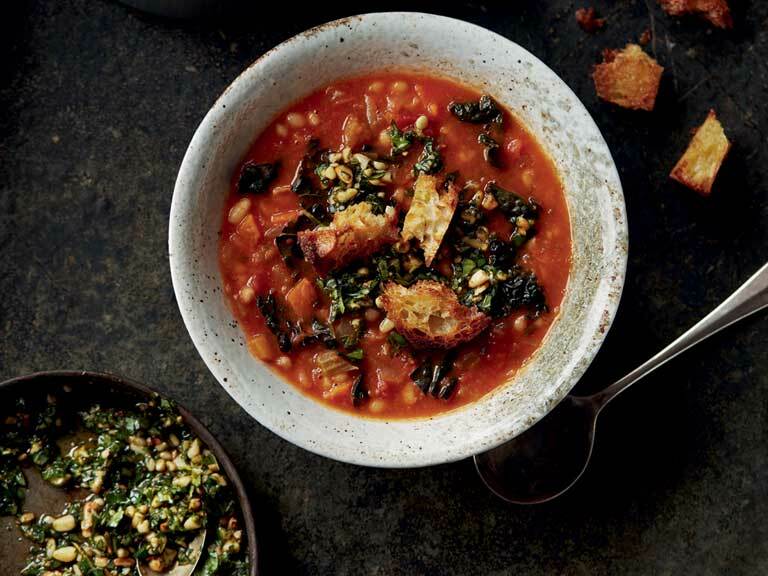 A thrifty Italian soup that makes the most of leftover bread. 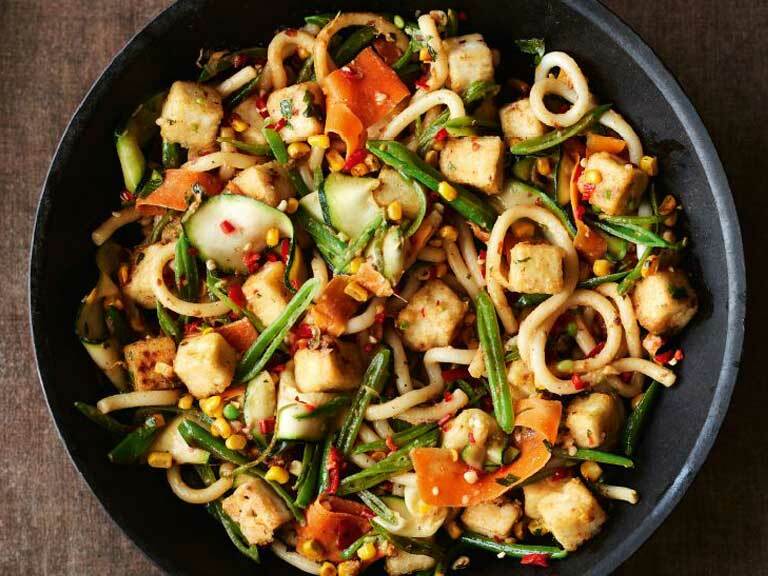 A quick and crunchy stir-fry with crispy tofu and a chilli peanut sauce.